One of the Smoky Mountain’s most popular winter activities will soon be available all year long. Currently, the only place to go snow tubing in the Smokies is at the Ober Gatlinburg Ski Area, which offers tubing from late November through late March. However, an eagerly anticipated new attraction promises year-round snow tubing in Pigeon Forge! To help you plan your next vacation, Aunt Bug’s Cabin Rentals has put together a guide to everything we know about Pigeon Forge Snow. How can an attraction offer snow tubing during the dog days of summer? The solution, of course, is to put the slopes indoors! Pigeon Forge Snow will be housed in a 35,000 square foot indoor complex in the heart of the city. This ambitious attraction will use state of the art snow machines to cover their tubing course in fresh powder. Pigeon Forge Snow won’t be using synthetic material; they will create real snow. Pigeon Forge Snow will be the first facility of its kind in the United States. The plans for the attraction include 15 lanes of snow tubing. One advantage of indoor snow tubing is avoiding the frigid weather that usually comes with winter sports activities. According to an interview with the owner of the attraction, Pigeon Forge Snow will have a comfortable temperature of around 60 – 65 °F. With this relatively balmy climate, visitors won’t have to bring their heaviest coats and hats. In addition to snow tubing in Pigeon Forge, the attraction will offer other wintry activities. Guests will have the chance to throw snowballs, build snowmen, and explore igloos. Pigeon Forge Snow’s website also indicates that the attraction will sell snow cones, so you can have the perfect sweet treat to enjoy after a day filled with snowy fun. Pigeon Forge Snow is being built from the ground up, so the attraction does not anticipate opening until the summer of 2017. The building will be located on Teaster Lane, near the Nike Clearance Store. Pigeon Forge Snow will be around 3 minutes from The Island, 6 minutes from The Old Mill, and 10 minutes from Dollywood. The founder of Pigeon Forge Snow, Matthew Ayers, already has roots in the Smoky Mountain area. Ayers also owns The Coaster at Goats on the Roof, a popular alpine coaster on Wears Valley Road. To stay up to date on the latest news about indoor snow tubing in Pigeon Forge, you can follow the Pigeon Forge Snow Facebook page. When you stay with Aunt Bug’s Cabin Rentals, you will be just a short drive away from Pigeon Forge Snow and all of the other incredible attractions in the Smoky Mountain area. Our cabins come with your choice of luxurious amenities, including mountain views, fully furnished kitchens, private swimming pools, theater rooms, game rooms, and outdoor fire pits. With everything from 1 bedroom cabins for romantic retreats to 8 bedroom cabins for family reunions, we are sure to have the perfect accommodations for your vacation. 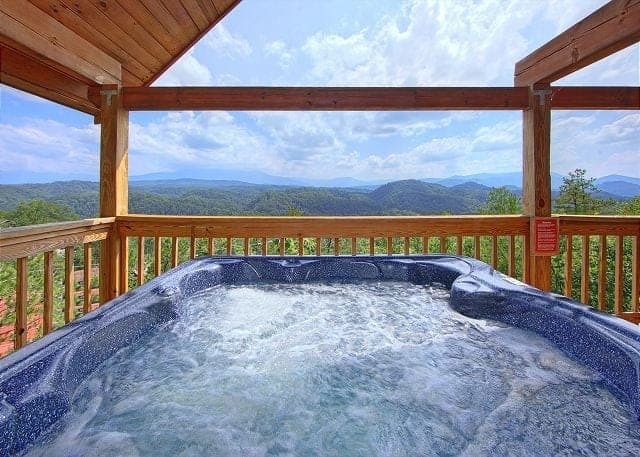 To start planning your next getaway, browse our selection of cabin rentals in Pigeon Forge!